It’s no surprise that this is one of the most popular TED talks of all time. And it’s one of the most inspiring TED talks that I’ve seen (several times). Sir Ken argues that schools must nurture creativity, and that it is as important as literacy or numeracy. Due to his entertaining style and sharp delivery, it’s also one of the funniest TED talks about the arts. He makes a strong case for re-thinking our education system to acknowledge creativity as a key type of intelligence. This is one of the best TED talks for (arts) students and graduates who have no one set career path in mind. After watching it, I felt like my working life as a creative freelancer made sense. If you’re not sure you want to do just one thing for the rest of your life, you’re not alone, and that’s OK! In this illuminating talk, writer and artist Emilie Wapnick describes the kind of people she calls “multipotentialites” who have a range of interests and jobs over one lifetime. Are you one? I also recommend Emilie Wapnick’s book ‘How to be Everything’, which turns traditional careers advice on its head! Instead, she provides a practical framework for building a sustainable life around ALL of your passions. 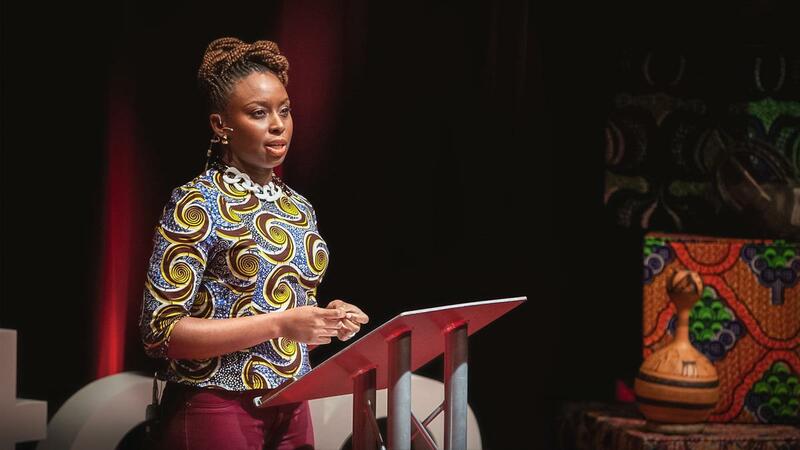 In this TED talk, one of my favourite writers (Americanah, Half of a Yellow Sun, We Should All Be Feminists) warns against the problematic nature of a single narrative. She explains the damaging consequences of hearing only a single story about another person or country: when Africans, for example, are treated solely as pitiable poor, starving victims. These stories, you see, become reductive identity markers. This talk is to literature what Edward Said’s Orientalism is to art history. It demonstrates the power of art to share many narratives. How do you stage an international art show with work from 100 different artists? 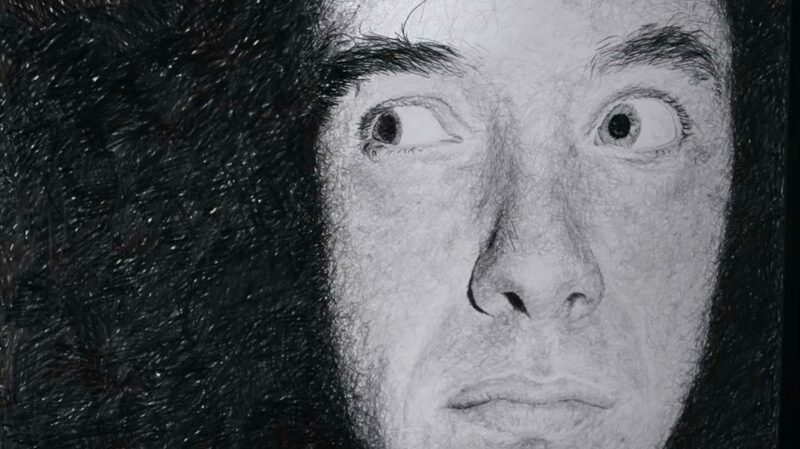 If you’re Shea Hembrey, you invent all of the artists and artwork yourself, from large-scale outdoor installations to tiny paintings drawn with a single-haired brush. This is one of funniest TED talks about art. In 15 minutes, Shea Hembrey shows what just one artist can do, and exploits the performative stage of the international art world. Listen to the insights and advice from 8 prominent artists. Opening with Marina Abramovich and William Kentridge, other big names include Olafur Eliasson and Dinos and Jake Chapman. Their thoughts are strong and diverse. It’s one of the best TED talks for teens interested in making art and/or a career in the creative industries. Themes include: satisfaction, originality, protecting your name and a readiness to fail. This is an incredibly empowering talk on how the power has shifted to the artist today. Throughout this motivational TED talk, Adrain Salamunovic gives practical tips, such as how to sell artwork online, how to price artwork and increase revenue, and importance of knowing your brand as an artist. Particualrly relevant with rise of social media platfomrs giving power to artists (away from curators/dealers) . just as can pubish own book, can easily set up website and blog or create an Etsy platform, from which you can sell particularly smaller items, such as edition prints. It will make you want to get your artwork out there! In art school, Phil Hansen developed a shake in his hand. He couldn’t so much as draw a straight line anymore. After years of excelling in pointillism, his tight grip of the pen had caused permanent nerve damage. He left art school and, then, left art completely. Hansen was lost. But a neurologist helped him find his way again with three words: “embrace the shake.” This 10-minute talk will help you understand that when you experience a setback, you can quit or you can adapt. Any others you think I should watch?